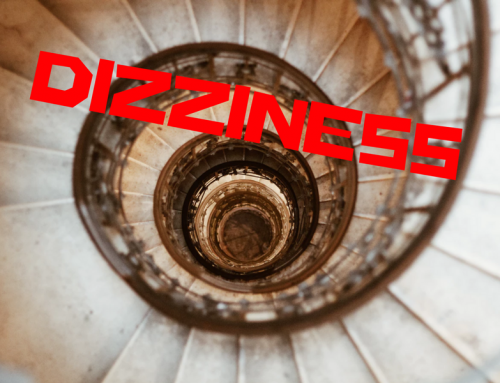 Digging into Dizziness with Brooke Pearce, Au.D. That’s right. I said it. I love my job. For many reasons, of course, but perhaps there’s one that pulls me in. I can bring balance back to the imbalanced. I love dizzy patients. 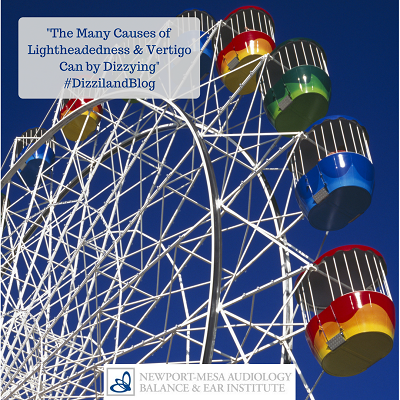 It’s challenging, because dizziness is a symptom of so many things – it seems almost everything! 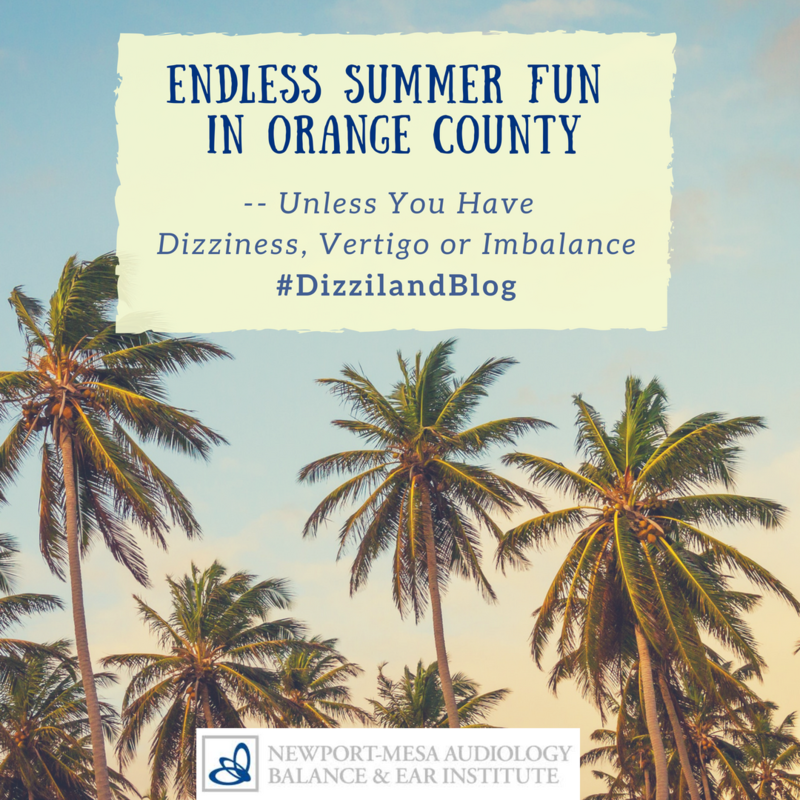 There’s no denying the facts: inner ear problems, poor circulation, medication, dropping blood pressure, neurological conditions, low blood sugar, pregnancy, anxiety disorders, low iron levels, overheating and even dehydration can all cause dizziness. But with the proper techniques, equipment and knowledge, I love getting to the bottom (as in from the top of your head to the tip of your toes) of dizziness. So let me share a little background. 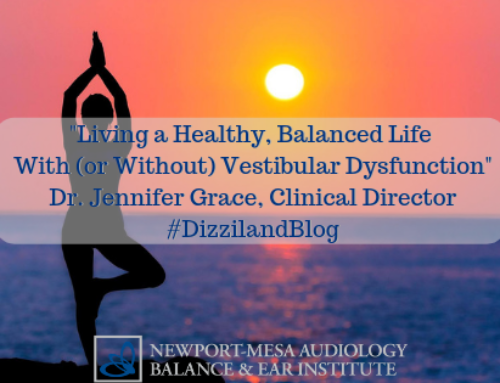 I’m a vestibular audiologist. 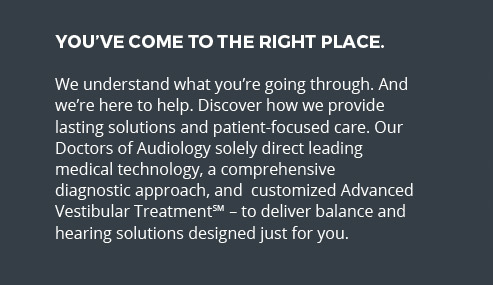 My training and expertise are a vital combination to assess one of the most important areas of the body central to our balance – the inner ear. 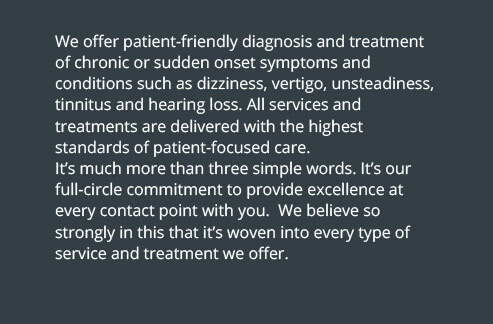 By utilizing the advanced diagnostic equipment at our Institute to test and evaluate, I join patients as they navigate the unexpected and unwelcome, off-kilter world that they have tried to cope with. 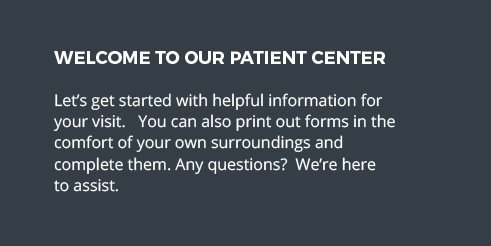 I see firsthand the fear and frustration in my patient’s eyes. Dizziness rocks their world. They have done nothing wrong. 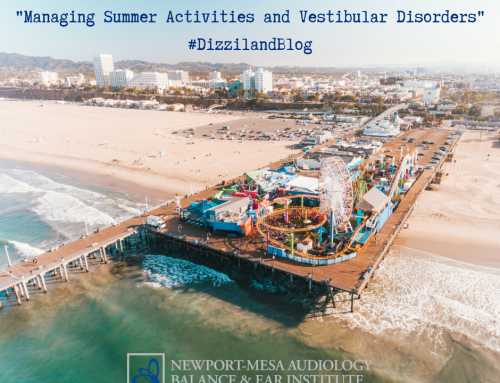 It can affect anyone – construction workers, surgeons, stay-at-home moms – dizziness has no preference. 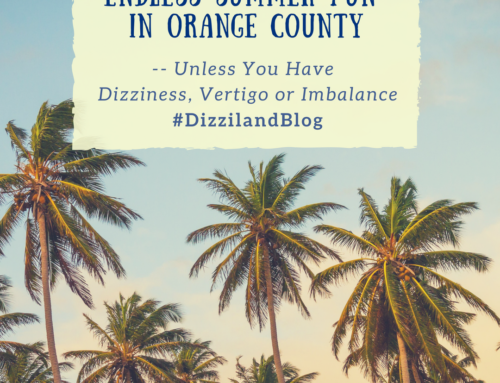 All share a common thread: no longer are they able to wake up and get through the simplest of daily tasks due to dizziness. Most patients are struck with fear and the overwhelming task of trying to understand WHAT is causing their symptoms. 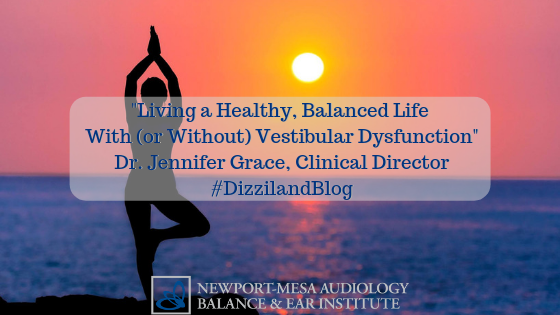 Often patients have seen their family doctor first; if the dizziness is not treated, they are referred to an ear, nose and throat (ENT) doctor and/or a neurologist. It can be a long and winding road…taking time, energy and can leave the patient frustrated. But my door and my fellow colleague’s doors are open – we’ve heard these stories before. 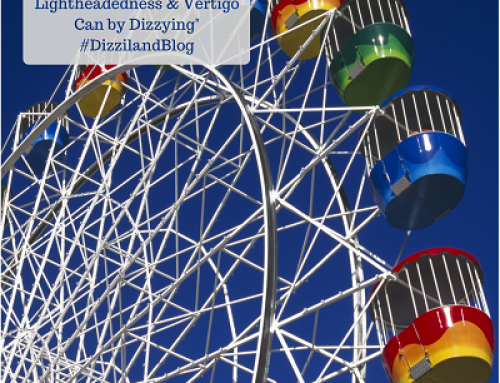 And this is when I get most excited about digging into dizziness. I can make a difference in improving a person’s life. I have a deep appreciation for the advanced technology that our Institute invests in. 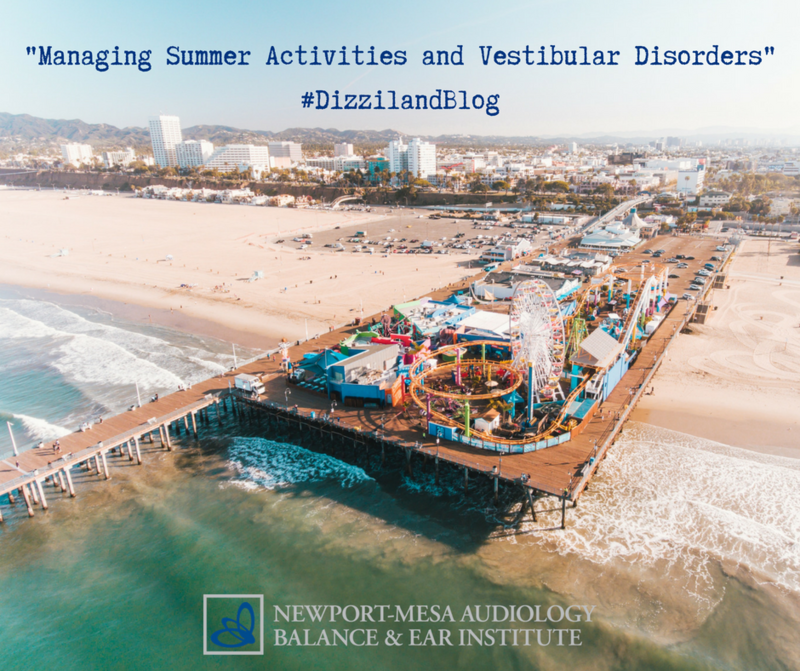 I can utilize our Advanced Vestibular Treatment – known as AVT – protocols to begin the rehabilitative process when the inner ear is involved. So here’s what keeps me coming back: I love being part of a solution. Because that’s where the good stuff starts happening! Yes, it can be intense and challenging, but it is fulfilling. 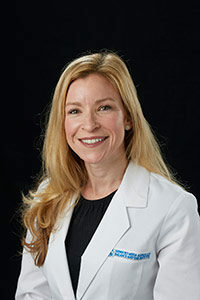 As the Director of Audiology, I strive to create an environment for all patients to succeed and feel a renewed sense of self-reliance once they leave us. I’m thankful for the collaboration and talent among our team of health professionals. 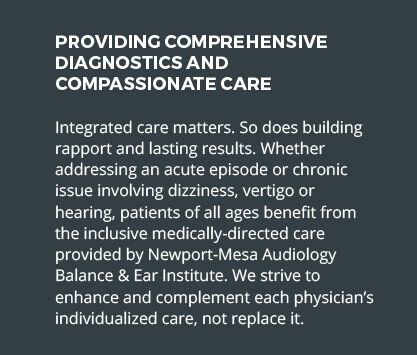 It’s a pleasure to work for an Institute that truly desires to do great things for its patients…and does. My patients motivate me to work harder – and I wouldn’t trade it for the world. 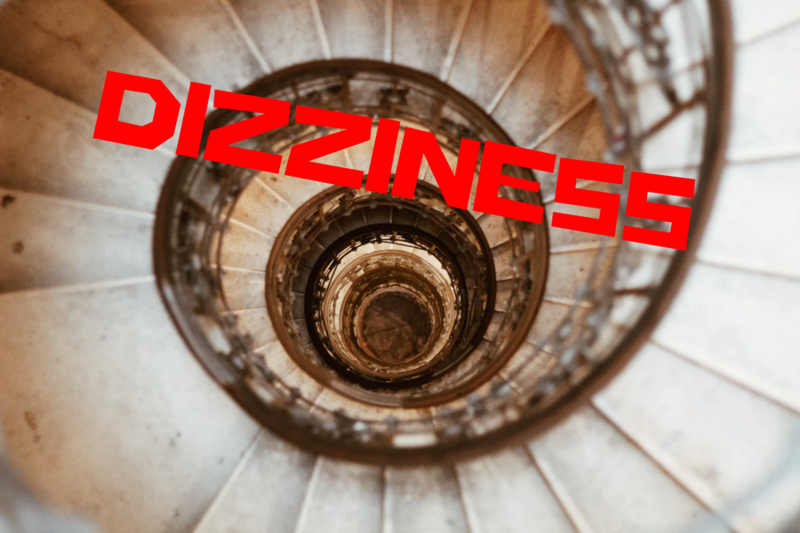 Dizziness – Fact or Fiction, Misconception or Myth?